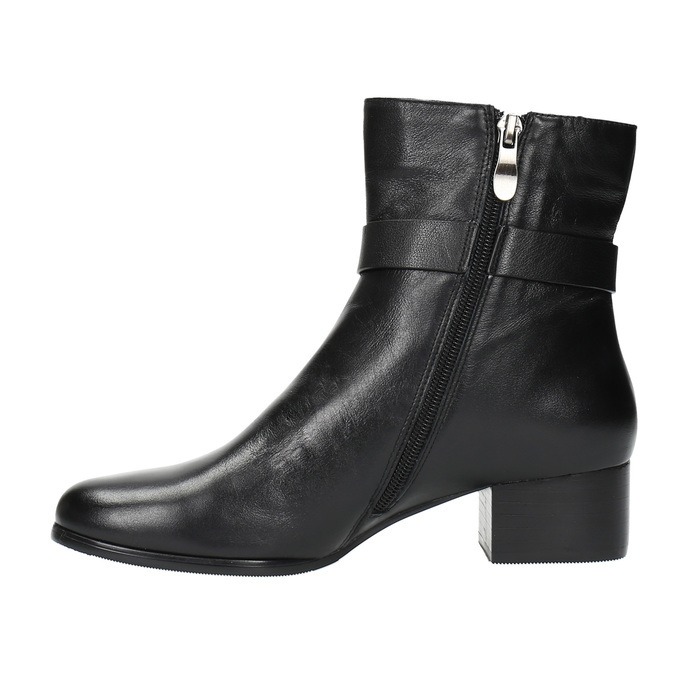 These elegant ladies’ boots are cut above the ankle and the comfortable low heel makes them ideal for everyday wear. 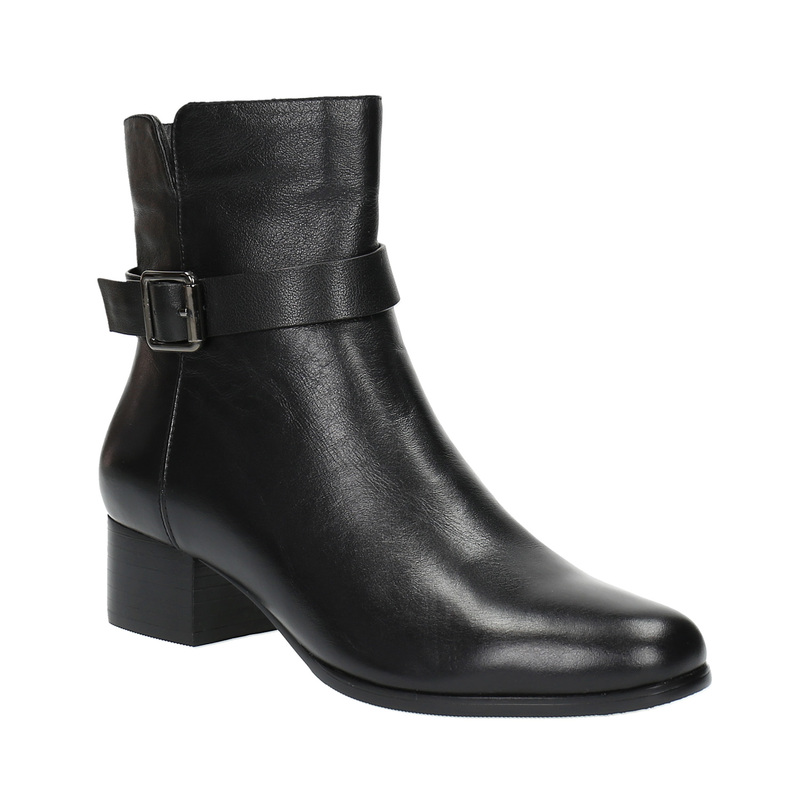 The smooth black leather upper features a stylish strap with a buckle. The Velcro fastener makes them easy to put on. Wear them with elegant outfits, though they also look good with skinny jeans.